GOOD NEWS. Important Updates (July 30th) Travel between Ironwood and Ashland on US 2 is now open, with moving lane closures during the maintenance. Hwy 63 closure. Cars, Light Trucks, and smaller RVs can use a local detour around Grand View. Trucks and big rigs may need to follow the longer detour route we’ve outlined below in our map. 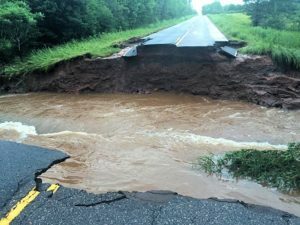 One of many total road washouts on roads near Lake Superior. On July 12 and 13, 2016 a severe storm and tornado swept across Northern Wisconsin and the Western edge of the Upper Peninsula. 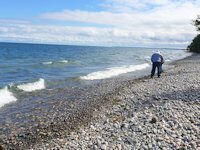 For those travelers on the Lake Superior Circle Tour, a lengthy detour is involved for travel between Ironwood, Michigan and the Ashland-Bayfield area. The official Wisconsin State DOT Detour Route makes this detour even more challenging than it needs to be. So we’ve outlined an alternative detour route that cuts about 50% off the “official” detour. It involves travel on some county roads but as it happens these roads are ones we’ve been on many times in the past and know they are good road surfaces. See the link to our complete Google Maps for our alternate detour route. 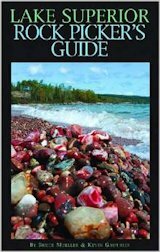 So if you visiting Ashland, Bayfield, and the Apostle Islands from either the east or the south, you should look at our alternative route. Likewise if you are traveling the Circle Tour towards Ashland from Ironwood, see our alternate route. 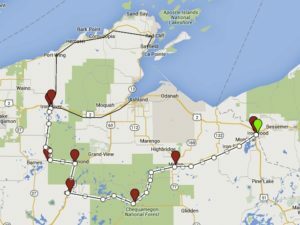 Also if you are traveling east from Duluth-Superior to the Upper Peninsula, you will find this alternate route helpful. Link to our Alternate Detour Route. We know crews are working dilligently to repair these road closures. We’ll keep you posted on updates. As of July 30, Little Girls Point Campground near Ironwood has re-opened and the Black River Harbor Campground remained open despite some damage to the boat ramp. As of this date, however, it appears the campground at Saxon Harbor remains closed.